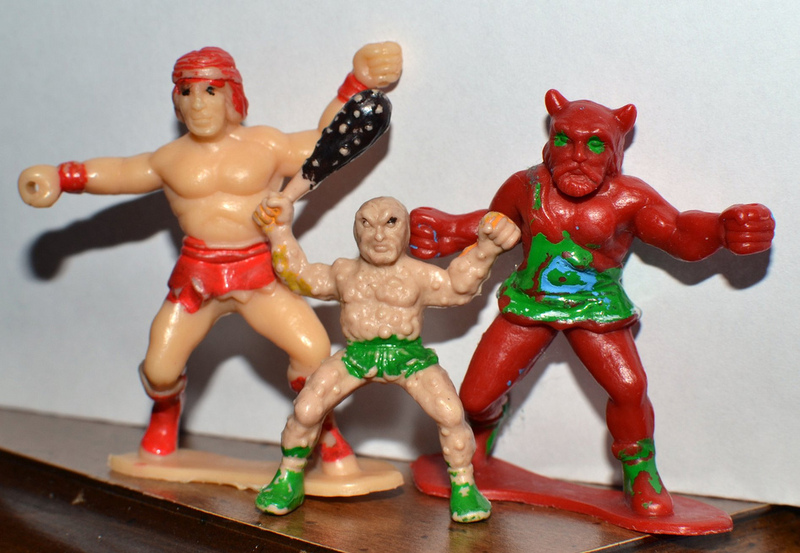 What: Fantasy-themed, poorly-painted hard plastic figures that came packaged in various formats (including as a playset with a castle front, weapons and horses). For more information, check out this thread on LittleRubberGuys.com. I had these as a kid. I loved them. I had both little castles and a few of the figures. I think they had small glow-in-the-dark weapons. Thanks! Glad you enjoy the site. I think I read that there was some tie-in with the movie, but I'm not sure how much of one beyond the name.